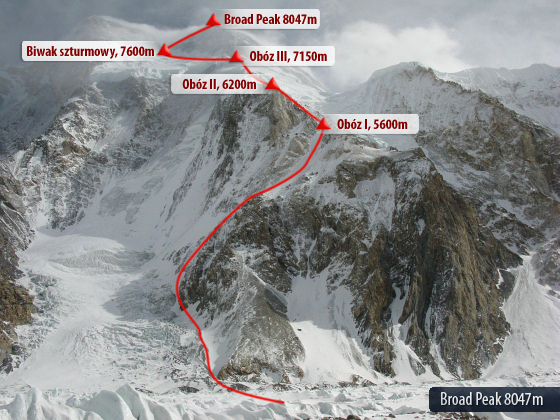 There was an avalanche yesterday morning and climbers ascending from base camp to Camp 1 came in the way, one of them went missing (presumed dead) and there were two badly injured lady climbers, one from Japan and other from China. I choose not to disclose injured Japanese lady climber’s name yesterday, because I was not sure whether her family is informed or not. Name of lady climber is Sumiyo Tsuzuki, she was climbing with Summit Climb team led by Julian Beermann and she was struck really bad by the avalanche. Sumiyo Tsuzuki has a misplaced shoulder and an open broken ankle. She has been treated by doctors in the base camp, but injuries are severe and she needs heli-evacuation. Helicopters are on hold in Skardu but could not fly yesterday due to bad weather and same situation today.